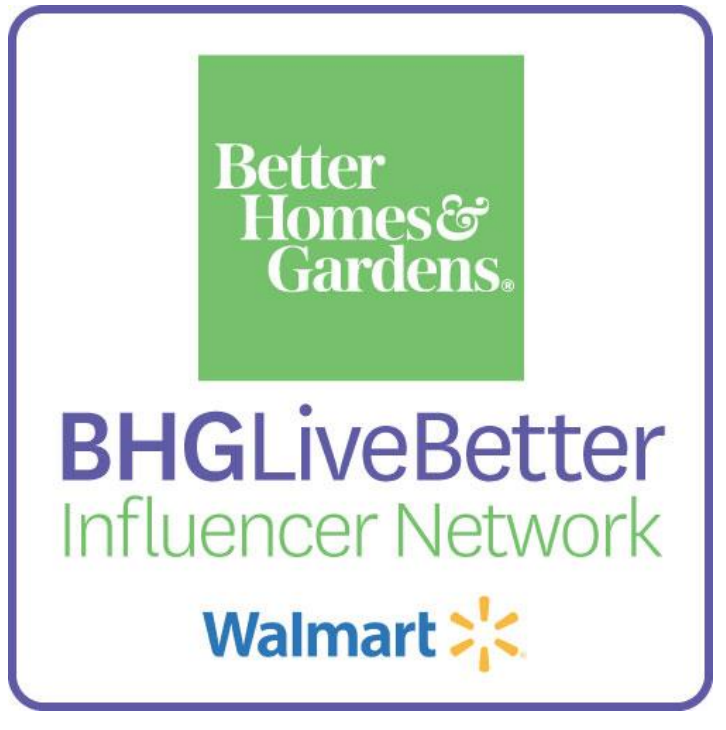 Today’s conversation is sponsored by my friends at Better Homes & Gardens Walmart! 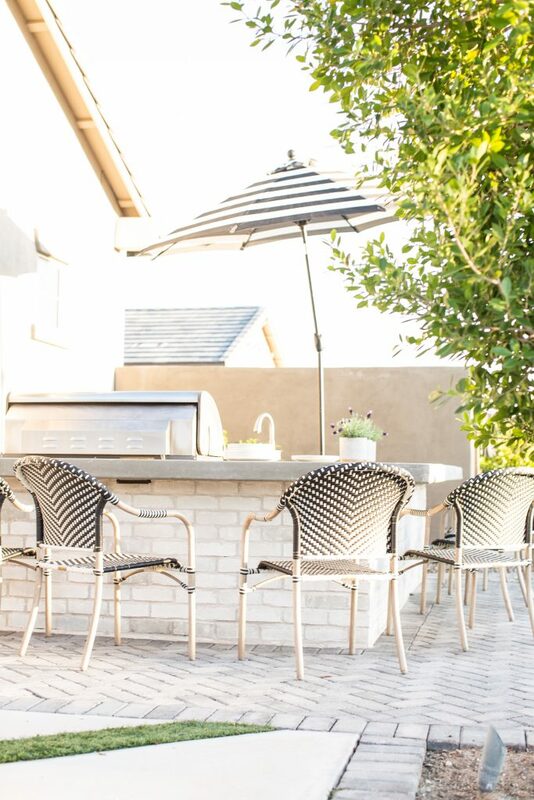 Creating an outdoor kitchen is one of the most exciting areas to create when you’re designing your backyard. A few years ago we moved into our home and within the first year we were designing our dream backyard! We included a pool, multiple seating areas, outdoor kitchen, mini garden and a grassy area for running around! I called in a modern mediterranean because of the mix of finishes and landscape that I wanted to highlight! 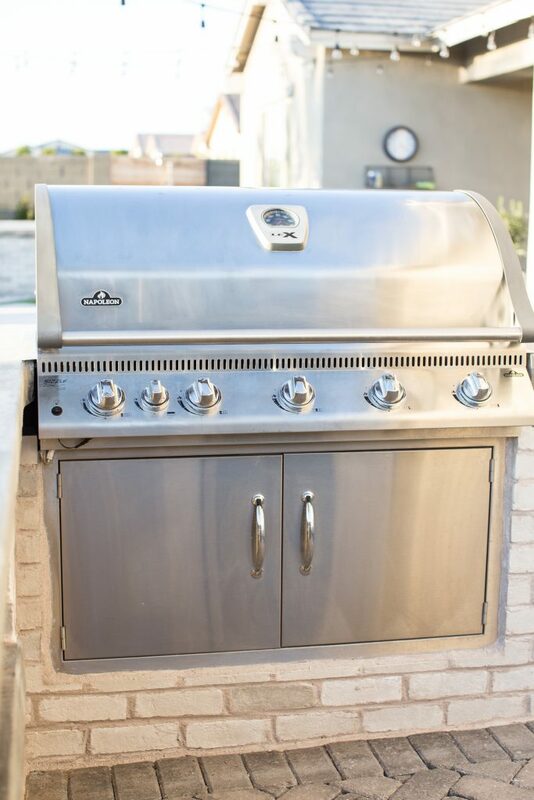 The outdoor kitchen was something that we both knew we wanted from the beginning. Arizona has some of the most gorgeous weather October-May so we really spend a lot of our time outdoors! 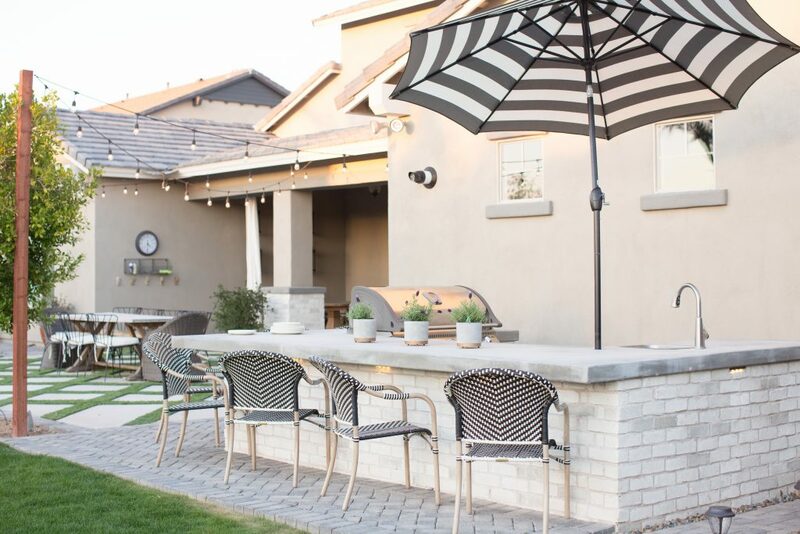 If you’re building an outdoor kitchen then here are some tips and ideas we have for you! Before you even begin you need to have a budget! How big will you bbq area be? What appliances MUST you have? What size grill? What about the flooring? Get all of your MUST haves written down and then go from there. Once you know that then you can decide the best way to build it and subtract items based on your budget. Everyone wants to know how much something like this costs and that was me too! But every space is so different so it’s hard to know! 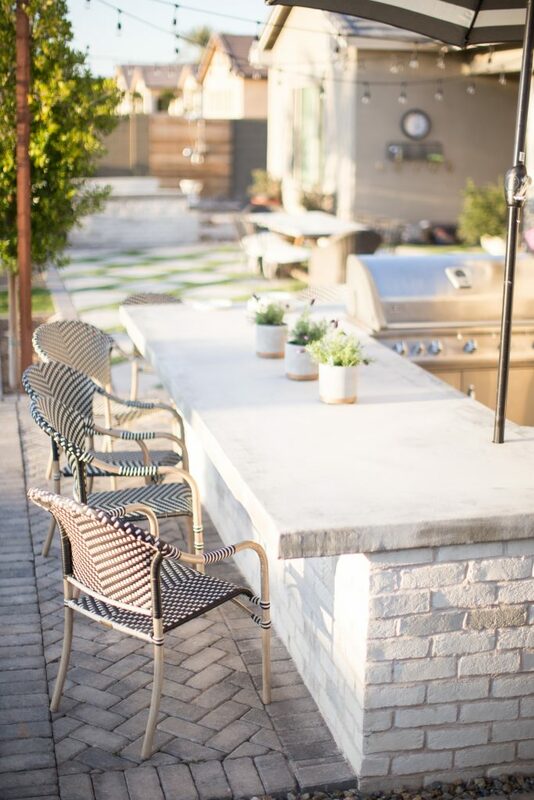 Outdoor kitchens can cost anywhere between 3k-20K depending on your finishes and the size, so save up! 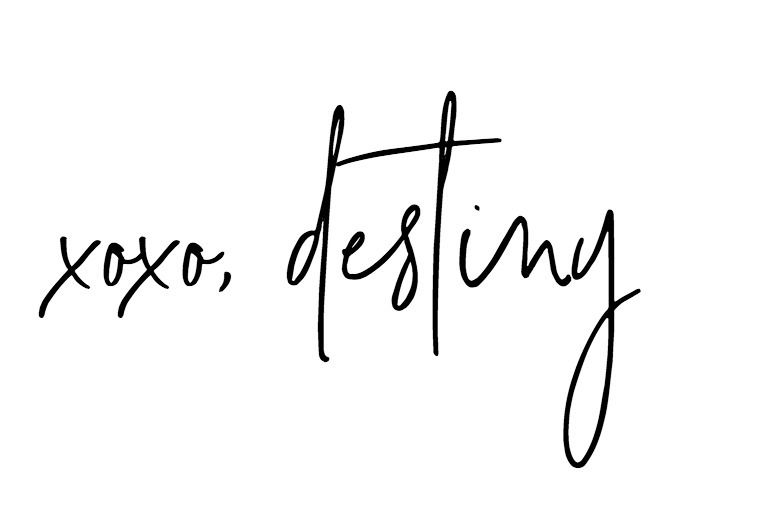 My suggestion to you is to get your wish list together and do.your. research!!!! I actually did a roundup cost of the materials that I wanted ( pavers, brick finish, appliances, lighting, etc) took measurements and then I estimated the labor to give me a good number. Then I added about another 2k to that number just to be safe! Our contractor really appreciated the fact that I knew what I wanted. 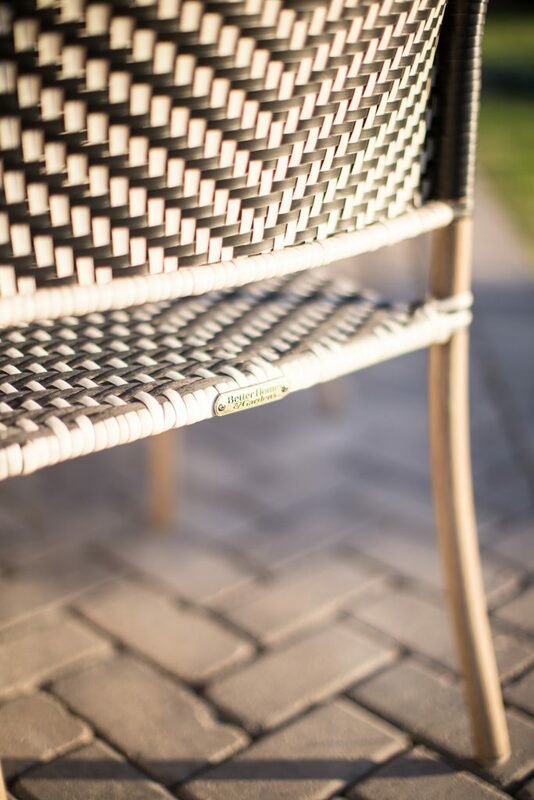 If you need help, get some consultations from local designers who specialize in outdoor spaces! You also might need from a landscape architect. We used one and it was well worth it to get a good idea of space planning! 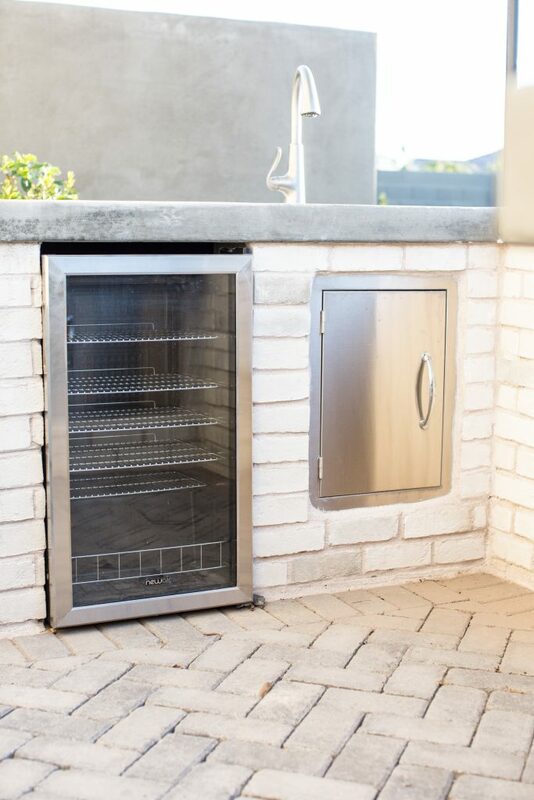 WISH WE DID TIP: We wish we would’ve left a little room for a smoker! We have the space but at the time we didnt think we wanted one. But now we do. It will fit just fine on the side but I wish we had a custom spot for it. Location, location,location! Because we had a blank slate we could’ve put the bbq area anywhere. At first we really wanted to have the bbq near a swim up bar out by the pool. We wanted to do most of the bbqing and swimming together. But because of the location of our pool ( we put in towards the back of the yard) we decided to keep the bbq closer to the house. Why? Well when you’re grilling you will forget something in the house. It’s just a fact. Walking back and forth from the house to the bbq would have gotten old real quick! This way as we’re bringing items in and out we won’t be to far from the house. Plus the closer you are to the house the less expensive it is to run water, plumbing and gas lines! Shade is a big deal in Phoenix. We have a west facing backyard which can be great because during the winter we get those rays of sunshine that keeps us nice and warm. But during the summer, we get that hot afternoon sun that is a full 120º and we feel every bit of it. Thank goodness for a pool. Instead of a pergola we decided to use our landscape to bring us shade. BUT when you’re not starting off with full size trees that can take years! We have two ficus trees that eventually will give us a pretty shady area for the bbq and for our patio area. In the meantime we had an umbrella hole built into our bbq countertops to give us some instant shade. 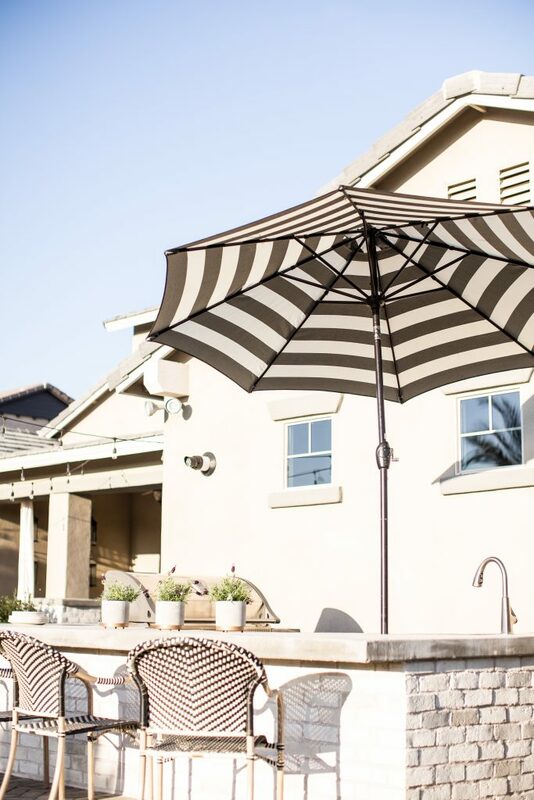 We put a stylish but affordable black and white umbrella in a classic stripe ( only $50) that ties in with our other decor. The tilt crank option helps out when the sun is moving throughout the day! WISH WE DID TIP: Even though I’m excited to see our trees grow, I really wish we would have built the pergola! We need shade and we need it now! 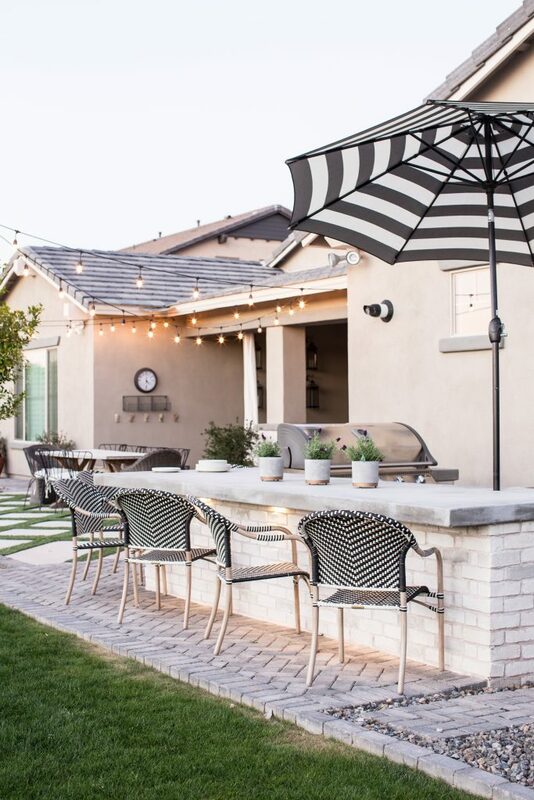 Of course we all know a bbq area needs a grill, but if your budget allows, below are some other items you might want to have in your outdoor kitchen! 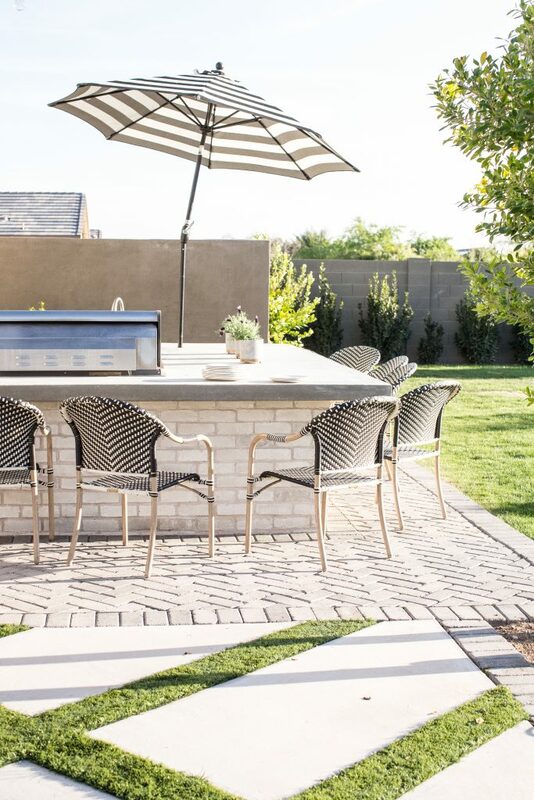 When you go to choose your outdoor kitchen appliances make sure you have a good idea of how you want your area laid out. Just like an indoor kitchen there needs to be functional zones. Think prepping ( cutting veggies and seasoning meat need to be next to to a sink and trash can) serving ( large area for serving food and eating) and cooking ( the actually grill area). Put the icemaker next to the sink so you won’t need to run any more water lines and also think about where you might want electrical outlets! This is important if you want to bring a blender outdoors, maybe a speaker or even a coffee maker! Sink ( Do you want both hot and cold water? That will cost you more! ) Remember if it’s close to the house it will cost you less! Also think about the drain and whether or not you want a garbage disposal. WISH WE DID TIP: I would love an icemaker out here. Even though we were told it wasn’t a great idea because of the heat, I’m still longing for one! Also make sure you get a cover for your grill. It makes a big difference as far as keeping it looking clean! Also our contractor had us order all of the appliances BEFORE so he could build around them perfectly! So keep that in mind! 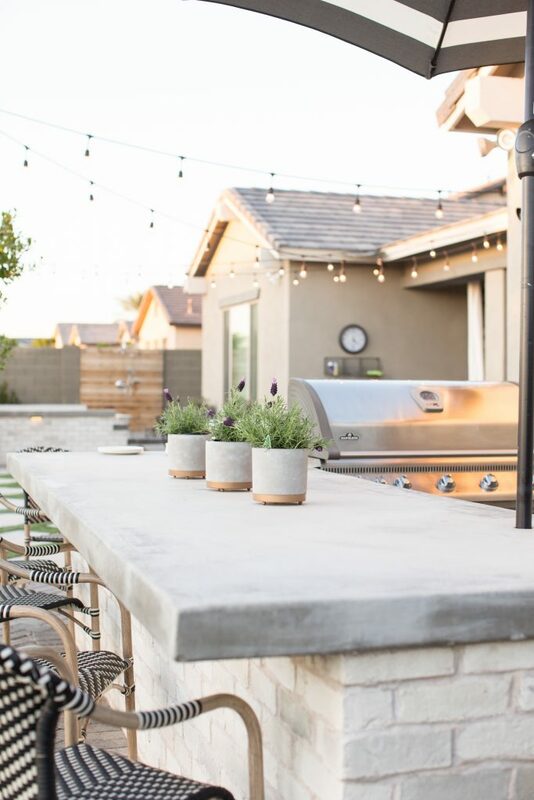 Choosing an outdoor countertop can be a little challenging. Especially living in Phoenix. 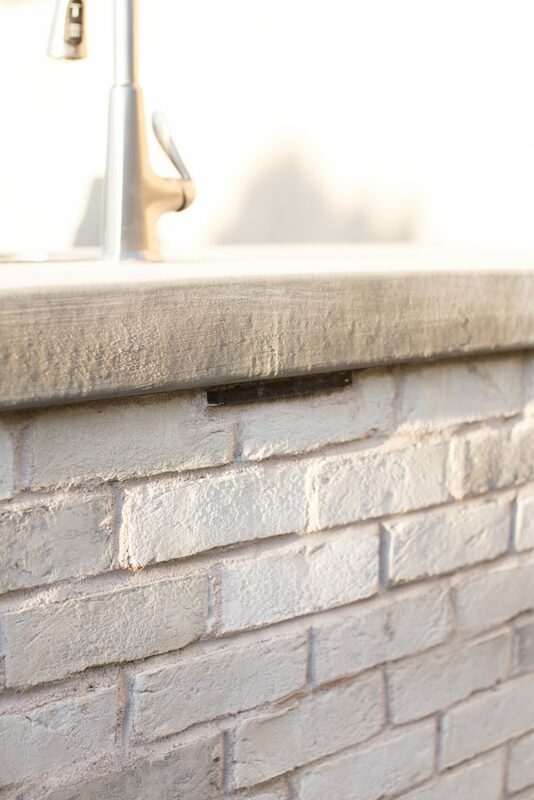 The hot weather really dictates a lot of the finishes we chose for the bbq area and other parts of the yard. 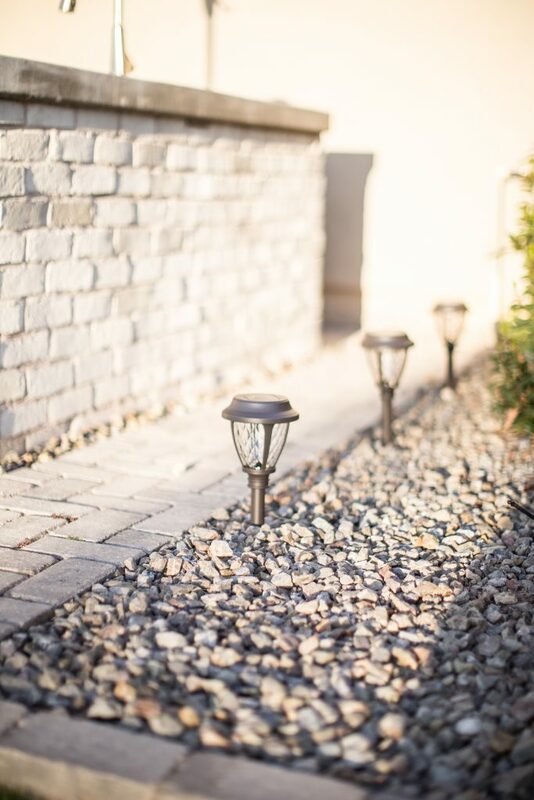 Concrete, stone, granite and ceramic are some options you have just to name a few. We chose concrete for a few different reasons. One, because we wanted it to tie in with all the other elements around the yard. We used concrete tops on our fireplace and our built in sofa. Two, because I really wanted a thick look to finish the edges of the countertop and because we went with concrete we got that look! I think we got a good 3 inches without doing a faux overhang. The third reason was because I wanted an easy to clean option with little to no maintenance. There are definitely some pros and cons to having concrete countertops so just make sure you’re ok with them before you choose this option! 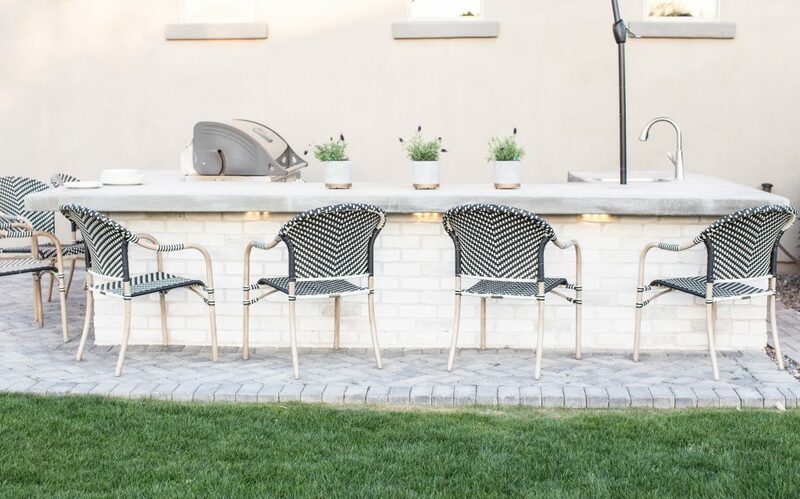 There are plenty of options when it comes to seating at your bbq area. 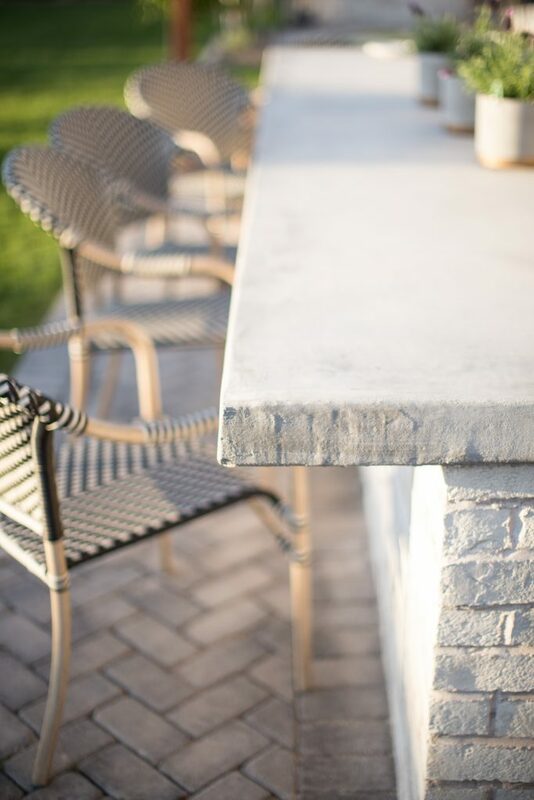 One option is a high countertop with some outdoor barstools. 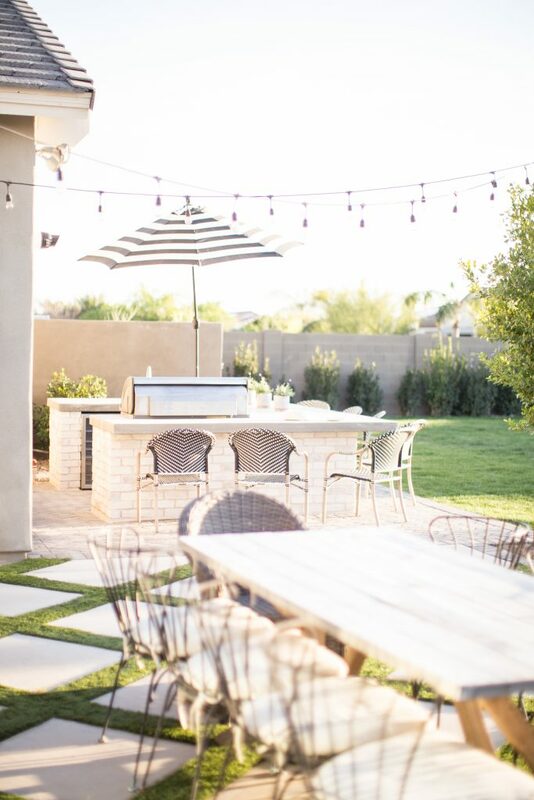 This is a great option for casual entertaining or if you have an outdoor bar! You can also have a bbq area with some seating off to the side. Think a long dining table with plenty of chairs for a big alfresco dinner party. Or you can do something like we did and have a countertop option using just regular outdoor dining chairs for seating. This was actually an accident when we designed the bbq area, but it ended up being one of my favorite features. We wanted something a little higher ( think counter height not bar height) but I love it just like this! Plus when I was sourcing seating, outdoor bar stools were EXPENSIVE! It was killing my budget! Especially when you have an aesthetic like mine and I needed 7-8 barstools! But luckily I found these outdoor bistro chairs and they are giving me all the feels without the huge price tag! 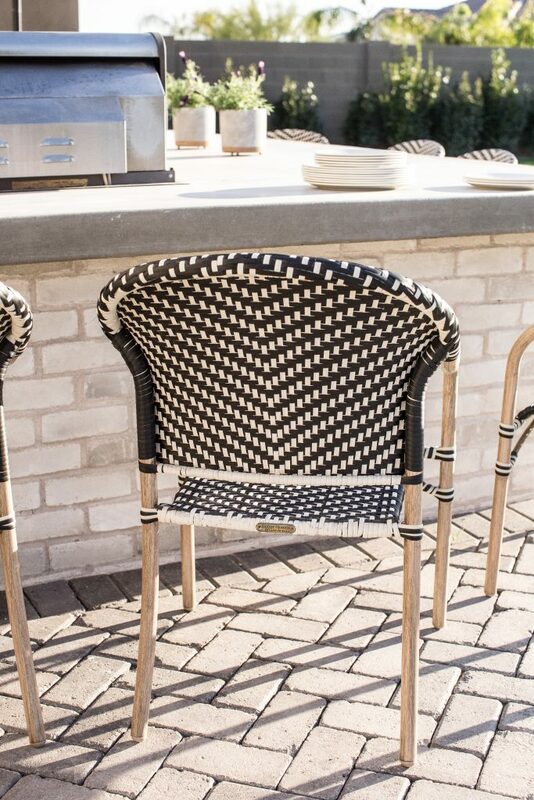 They have a gorgeous black and white woven material along with some accent wood legs that make it extra special! This is something I think most people forget when the design the bbq area! LIGHTS! Even though most of us think of bbqs happen in the afternoon with a sunny sky above, bbqs do happen at night sometimes! So lighting your area is so important! We chose to use some LED accent lighting under the bbq, string lights off to the left under the patio, flood lights and we just added some solar powered path lights from Better Home and Garden Walmart for some extra ambiance on the sides. I’ll be putting together a materials guide and plant guide soon so look out for that! In the meanwhile you can shop the post below for some of the items featured from Better Home and Garden Walmart!